MOHAMMADU BUHARI: THE CASE OF A TREASONABLE FELON AS A PRESIDENT. Nigeria is a nation that never ceases to amaze her observers via her contradictions, wrong choices and double standards. One of such examples, is the case of the Late Islamist, genocidist and despot with fake anti-corruption credentials, the late General Mohammadu Buhari. Here was a typical example of who should never have been elected President of that geo-political contraption known as Nigeria based on his antecedents for criminal activities. But this is NIGERIA, a country that plays by no rules other than the might of the Fulani masters, an uncivilized, vamparic race which spews out a nation of contradictions, wrong choices and double standards. The consequences of the decisions of the country and its hapless citizens are there for all to see: a failed nation, a country that never works, a state that is unable to perform even the most basic of stately responsibilities to her citizens. How low can a country sink? Here was General Mohammadu Buhari who committed treasonable felony against his country and citizens on December 31st 1983 by overthrowing a democratically elected government headed by Alhaji Shehu Shagari. He suspended the constitution and imposed a military dictatorship on the country. In decent climes, General Mohammadu Buhari ought to have been killed or sent to life imprisonment. What did Nigeria do? Nigeria elected the felon in 2015 as her President. Imagine electing Major Gideon Okar or Lt. Col Bukar Sukar Dimka as the President of Nigeria. Even the late Major Chukwuma Kaduna Nzeogwu who saved Nigeria from creeping Islamization by the Islamic jihadist, Ahmadu Bello was not so honored. Why? The answer is to be located in the ingrained double standards of Islamic Nigeria where the Fulanis play by different rules from the real owners but marginalize the indigenous people that inhabit the geographical space called Nigeria. These are Biafrans, Yorubas and the Middle Belters. What was not good for Nzeogwu, Okar and Dimka was good for Buhari. Welcome to Nigeria, a nation of different value systems, contradictions and therefore, different choices with what is alright by the Fulanis imposition. So Mohammadu Buhari was imposed on Nigeria in 2015 as a President. He imposed the same wrong choices on Nigerians in the year as he did when he overthrew the democratic order in 1983: despotism, extra constitutional rule, illegal detentions, disregard for the rule of law, extra constitutional murders and an aggressive pursuit of Islamization of the entire country. Those who refused to be Islamised were to be killed. He empowered the Fulani killer herdsmen from all parts of Africa to invade Nigeria and to seize the land of the Indigenous People. The tales of the middle belt of Nigeria were that of death, destruction and forceful evacuation from their ancestral lands. Such tales extended to parts of Biafraland (Enugu, Delta, Rivers), Yoruba and Edo states. As far as the genocidist was concerned, all lands in Nigeria were to be made available to the Fulanis assembled from all over Africa, with absolutely no respect for the courts. Orders were not to be obeyed when it comes to issues that conflict with the views of his government. Mohammadu Buhari never stopped with his Islamization agenda and the enthronement of a military dictatorship in a democratic dispensation. All appointments of the entire security architecture and the oil and gas industry went to the Fulanis who were assembled from Mali, Niger, Chad, Cameroon, etc. People with bare education or complete illiterates were given the most important of appointments simply because they belong to the chosen race and religion: Fulani and Islam. Merit was completely jettisoned. Biafrans from whose lands the oil and gas flow were not good enough to man the petroleum sector. The consequences of these contractionary and authocratic policies on Nigeria soon became obvious to all. Civil strife, killings, depression in the economy wrongly referred to by the state and its apologists as recession, massive unemployment and emigration of Nigerians to the nooks and crannies of the world by any means possible, became the norm. Today, Nigerians are reaping the full consequences of their wrong choice in 2015, electing a treasonable felon as their President. The miserable political and economic performances of the late General Mohammadu Buhari were exactly the same thing Nigerians experienced during his first unfortunate ursurpation of power in 1983 via a military coup. He killed several people extra-judicially, executing some of them (mainly Biafrans) for non-existent crimes, created his own courts, handed out ridiculous jail terms for former political office holders (some were jailed for 100 or 150 years depending on the part of the country they came from), jailed journalists who published the truth and destroyed the thriving economy he met. Nigerian intellectuals and professionals ran for their dear lives to all parts of the world. 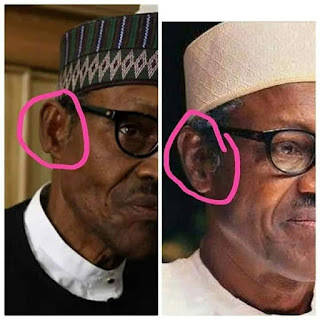 General Mohammadu Buhari could not have claimed in 2015 that he was not prepared for power, after all hustles for power for twelve solid years from 2003 and by 2011 he had become exasperated threatening all and sundry during one of his campaigns in December 2010, against former President Goodluck Ebele Azikiwe Johnathan that "baboons and monkeys would soak in blood if he did not win the election in 2011'' . True to his words, eight hundred and fifty Nigerians in the Northern part of the country, mainly youth corpers from Biafraland, lost their lives to Mohammadu Buhari's foot soldiers when he lost that Presidential election to Goodluck Johnathan. In 2015 when the genocidist won the election following the manipulation by Professor Jega's chairmaned electoral commission, some people expected peace. But that was not to be as immediately Buhari got into power, he deployed his military apparatus and personnel to the creeks of Akwa Ibom State, to kill villagers and intimidate those that remained so that he and his Fulani brethren from all of Africa can have easy access to the oil and gas that flow from Biafraland. Radio Biafra London was the only media that alerted Biafrans about this sacrilege. What is the lesson here? The lesson is that democratic power should never be entrusted to he who does not believe in democracy. The case of Mohammadu Buhari and his Fulani people is that of a race that is averse to democracy and development. They are more concerned about the Islamization of the geopolitical space or contraption called Nigeria and nothing else. No wonder, the country posts assumed some of the worst socio-economic indices in the world and is currently ranked the world's capital of poverty. What Nigerians will do to the Fulanis and their hegemonic control over their affairs is up to them but as for Biafrans, our decision is clear: we are recovering our stolen sovereignty and also building a first rate nation we can proudly proclaim to be ours and that of our descendants, that we did it! Oh yes! !